The first-tier active shooter training workshops and seminars explore active shooter/hostile events (ASHE) and workplace threats at the awareness level. 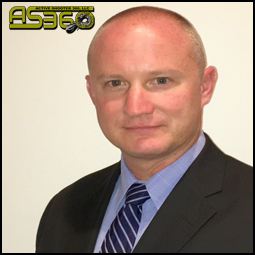 The AS360 programs are designed to provide training and education on multiple active shooter and workplace violence topics. 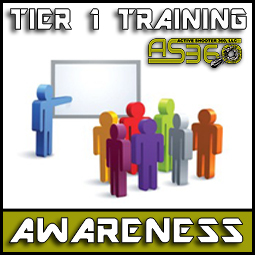 Our Tier I Awareness Level active shooter preparedness programs focus on initial active shooter preparedness for organizations in need of introductory training, developing new policies, or seeking survival training. Click on the programs below to learn more about our Tier One - Awareness Level active shooter training programs. 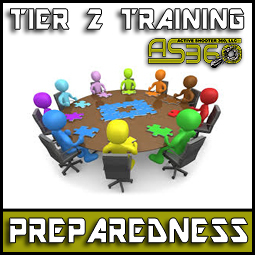 Tier Two programs are active shooter preparedness programs for administrators or managers involved in planning, preparedness, policy development, or simulation training. 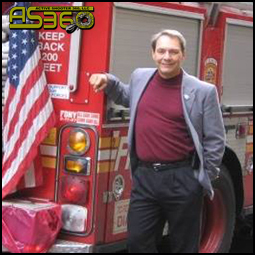 The AS360 Active Shooter Preparedness level trainings and workshops are anchored by class participation via functional activities. While Tier Two programs take place primarily in classroom settings, these active shooter preparedness training programs are more hands-on, engaging, and interactive. Click on the programs below to learn more about our Tier Two -Active Shooter Preparedness Level training programs. 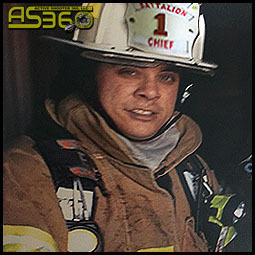 Active Shooter 360 Tier Three programs take you and your staff out of the classroom and into realistic training simulations. The Tier Three Active Shooter Radiness Programs are designed to replicate real-world active shooter / hostile events for the purpose of training, evaluation, and assessment as part of an ongoing improvement plan. 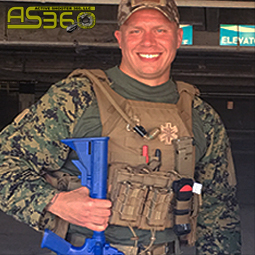 Active Shooter 360 conducts functional and full-scale exercises overarched by the Homeland Security Exercise and Evaluation Program. 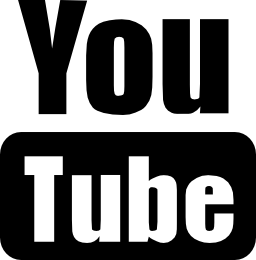 An example is a mass casualty exercise involving a hospital, school, church, business or first responder agencies. These active shooter readiness programs include functional exercises, full scale events, tactical rescue team (TRT) training for public safety agencies, and more. 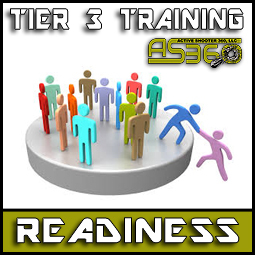 Click on the programs below to learn more about our Tier Three - Active Shooter Readiness Level training programs. 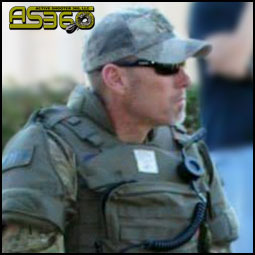 Active Shooter 360, LLC utilizes a core team of program developers and experienced insructors. These members have direct experience with Active Shooter training, readiness, and preparedness. Our staff has over 100 years of combined experience in public safety emergency response, military tactical experience, and law enforcement. 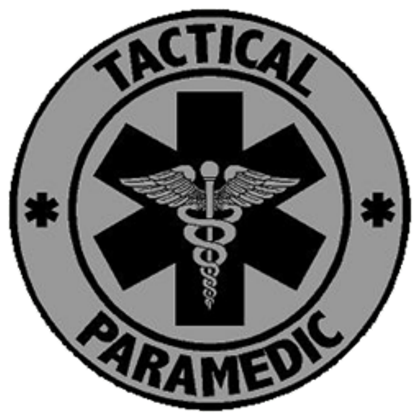 Our core team includes SWAT Medics, Battalion Chiefs, Air Force Pararescuemen, LEO Special Investigators, EOD Technicians, and Navy Seals. Our core team is also complimented by a specialized SME consultants utilized for special needs contracts. 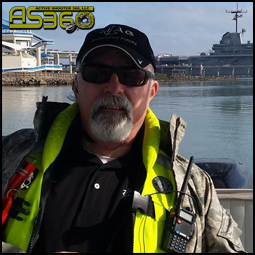 Without question, AS360 has the talent, experience, and diversity that your organization needs to ensure you and your staff are trained, ready, and prepared for Actove Shooter events and Workplace Violence!